Everyone has fond memories of the first stages of romance. I still clearly remember the first days of travel in the bike with my hubby. Wind sweeping the hair, cool hubby riding the bike…Romantic, really romantic – until I asked him to move a little bit to the front. (Not enough space in the back for me, you see). I knew the romance bubble had burst when I was presented with a gym membership the same evening. What followed was 2 days of getting up at 5AM, going to the gym, trying to stay awake and doing the aerobic steps at the same time. By the third day, I stopped getting up in the mornings and learnt to adjust in the limited space in the backseat of the bike. End of the episode, for me at least. Hubby still sits on the petrol tank while driving. 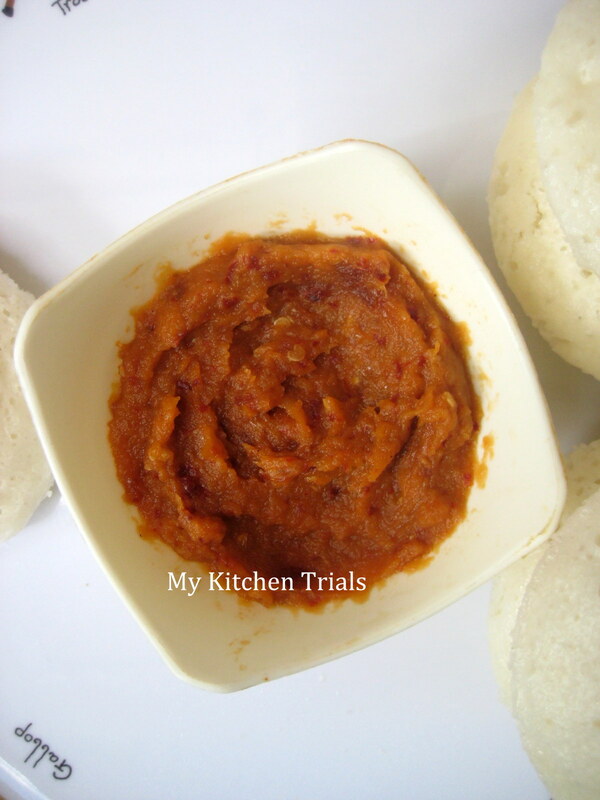 Its Radhika’s Blog Hopping Time again and this time I am paired with Rinku of Kitchen Treats. After going through her elaborate recipe list, I zeroed down on Sanna, as its something I haven’t tried before. I made the chutney from this post of hers. Sanna is a variant of idli, popular in Mangalore and Goa. Yeast is used for fermentation here, making Sannas fluffy and soft. We really liked the soft texture and a slightly sweet taste of Sanna . I made some in the idly mould, but loved the ones made in the katoris better. Wash and soak both the rice together for 3 hours (minimum). Wash and soak the urad dal separately for 40 min. Grind the dal to a paste using very little water. Grind the rice together into a batter, again using very little water. Mix both and pour into a big vessel as the batter will increase a lot due to fermentation. Dissolve yeast and one tsp sugar into 3-4 tbsp of warm water. Keep aside for 10 minutes till the yeast starts frothing. If the yeast is not active, start fresh with another batch of yeast. Mix the yeast solution into the sanna batter, cover loosely and keep aside for 2 hours. If you are using the batter later, then refrigerate it. It is a good idea to keep the vessel on top of a big plate, so that even if the batter ferments and overflows, the plate can catch it. To make Sannas, grease small steel katoris with oil and pour a ladle of batter (without mixing) into them. Steam for about 10 minutes. Check with a skewer and take off the stove, when it is done. Place the katoris face down in a plate and once cool, run a knife around it and take it out. Serve with a nice chutney. Heat a tbsp of oil in a pan, add the onions and chilies. Saute for 2-3 minutes. Take off the heat, cool and grind to a fine paste with tamarind and salt. I used a combination of pearl onions and ordinary onions. 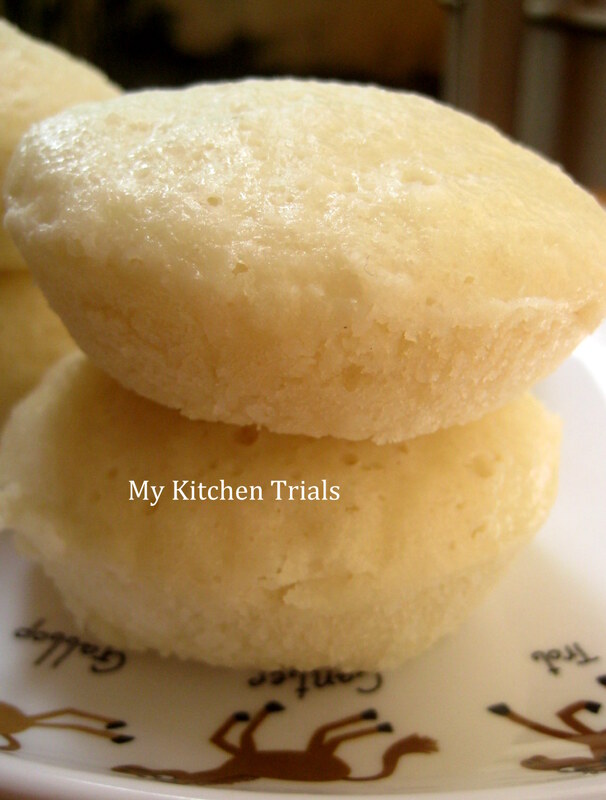 My first thought was idlis but proved wrong after going thru the recipe. Adding yeast makes if look so fluffy I see. very new dish for me..! 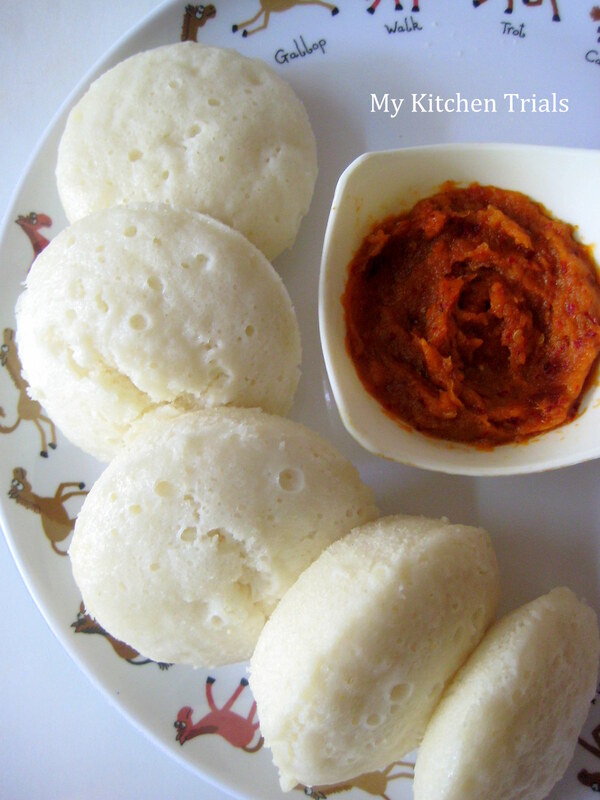 Idli with a yeasty twist, I see :) Looks awesome! Super fluffy and spongy sannas looks delicious, never tried these sannas,will definitely give a try soon. Very new dear!!!! Sannas look very spongy!!!! Bookmarking them!!!!! I love your solution – sleep in and adjust to the limited space! :) The sannas look so light and fluffy. What a delicious recipe. Thanks for sharing it with the Hearth and Soul Hop. I am living in UK. I am having difficulty in finding correct kind of “raw rice”. What kind did you use ? Which is best one to go for ?